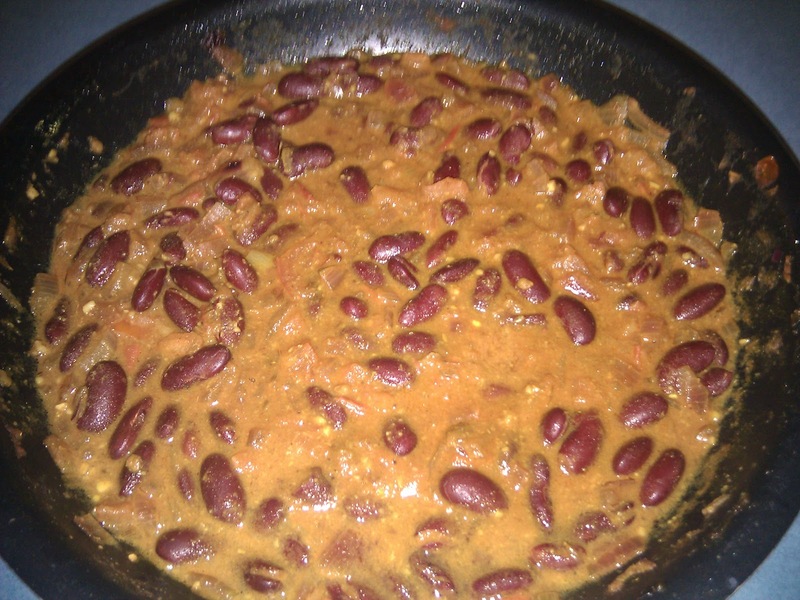 Rajma (red kidney beans) Masala, is an authentic North Indian dish. 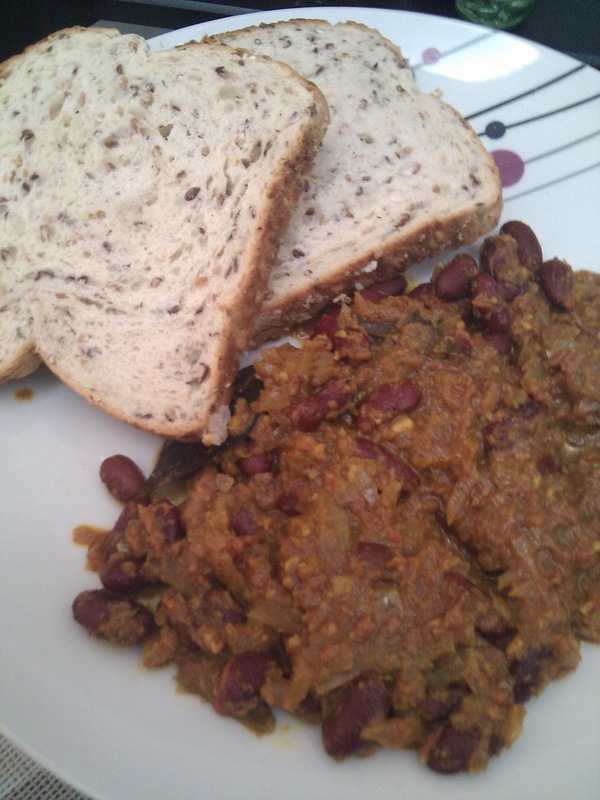 I like this dish due to the nutritional value of kidney beans.These beans are high in iron, fibre & Vitamin C and low calorie. Now I must admit all North Indian dishes are made with lots of ghee or butter. 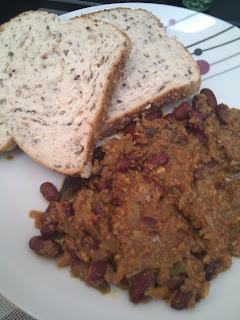 But I have developed this quick and easy version, that will still taste good and is low in calories. Wash and drain the beans from the can. Keep aside. Blend the tomatoes if using fresh tomatoes. Keep aside. In a medium sized pan add the oil. When hot add the cumin seeds. Let them splutter. Add the bay leaves. Let it cook for 2 minutes. Next add the chopped onion. Sauté till the onions are translucent. At this stage add the ginger-garlic paste. Cook for 5 minutes and add tomato puree. Cook till oil starts separating from the sides of the tomatoes. Now add all the spices turmeric, chilli, cumin and coriander. Let the spices cook for sometime. Add some water if needed. Add the beans now along with the salt. Mix everything well. 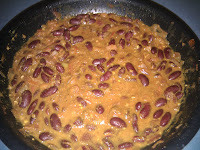 Cook till the beans are tender. 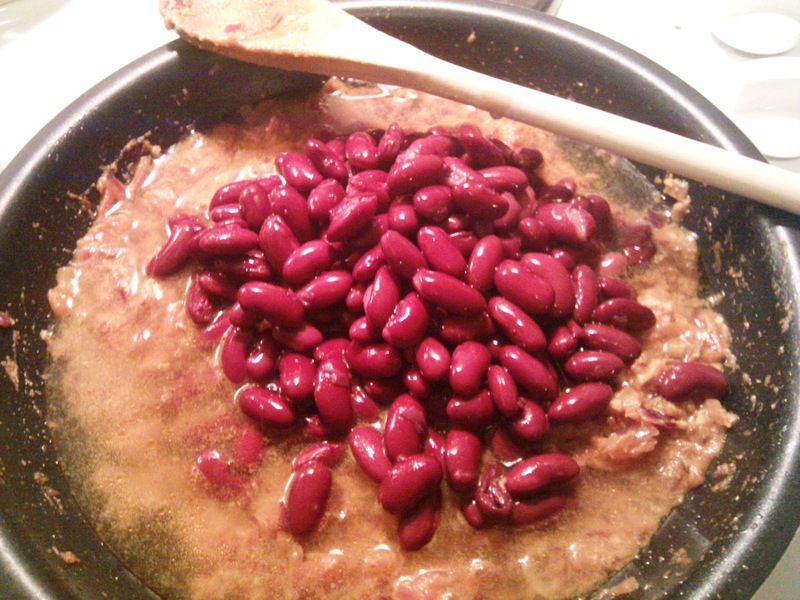 If using canned beans they will cook in 5-10 minutes. Lastly add the Garam masala. Mix everything well. Cover with a lid and turn off the heat. Let it cook for sometime in its own heat. I make this over night and bring it to work. Makes for a very satisfying lunch and it tastes much better the next day as all the flavours get infused into the gravy overnight. Tastes good with rice or flat bread.